You have selected the Advanced Mysticism membership level. 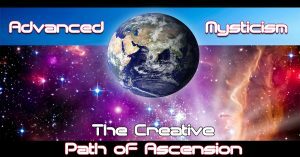 Do the course of Advanced Mysticism and receive ongoing instructional guidance and support for your Spiritual Conscious Evolution and Ascension. Welcome to the Course. Feel free to get in touch first to chat if you like, and discuss any questions you might have. Or just go ahead and i'll see you in the course. The price for membership is £19.00 per Month.